The new Playstation 120GB “slim” model started shipping today, and with it the 3.00 firmware update. The update has some interface changes to the XMB with new Playstation Store shortcuts, and updates to trophies allowing display for add-ons. Firmware update 3.00 also includes the ability to use dynamic themes on the fly and new avatar support (as well as premium avatars). Additional interface enhancements include the “What’s New” section which displays Playstation news and video content. 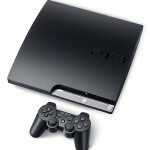 If you are using the PS3 as a Blu-ray player, several updates have improved the console. Those include: simultaneous audio outputs (for multiple devices), video playback using games controller (slow motion, reverse, fast forward), PAL error correction, and expanded audio upconverting. Other PS3 Slim updates include: copy and paste function (for web browser and messages), internet connection speed test, friends list, and custom remote play options (for example using your PSP).